It’s been a really exciting start to the year here at KRDS. We are happy to welcome new clients like RHB, Singapore Airlines and Hong Kong Tourism Board. With the opening of an office in Hong Kong – a big shout out to Aurélien Léger; we contributed to the creative landscape by developing custom SnapChat filters for key locations in the city. If like me you are a fan of WestWorld, you’ll find our campaign for the premiere of the HBO show quite intriguing. We are excited to present and discuss the possibilities, for brands and advertisers, on Messaging Applications. Don’t hesitate to reach out to us. All you need to do is hit reply. RHB Singapore is a financial institution with Banking, Securities and Asset Management businesses that provides customers with holistic financial solutions both locally as well as within the region. 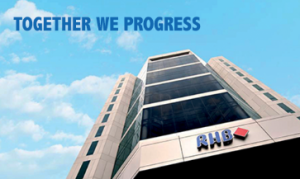 The bank RHB Singapore wanted to convey its concept ‘Together We Progress’on their social channels and has appointed Social and Mobile Agency – KRDS Singapore to build the brand’s presence on Facebook. This includes how RHB can help its customers while progressing together and will also include valuable tips and insights on finance and banking for its users. 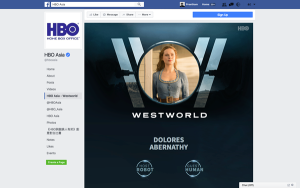 Premier programming service HBO Asia wanted to launch and promote its HBO original series Westworld on Facebook. Westworld is a science fiction thriller which premiered Oct 3. 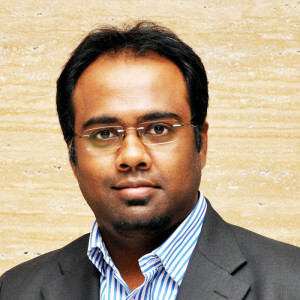 HBO Asia roped in Social and Mobile Agency KRDS Singapore to develop a fun platform to create awareness about the show on Facebook. The appointment comes after KRDS Singapore was tasked with developing a campaign on Facebook to promote the HBO original series Halfworlds back in 2015. The Westworld campaign on social was built as a guessing game based on differentiating Hosts (life-like robots) from Guests (humans). The series follows the concept of the TV shows where fantasy and reality come together in one world. Users click on one of the two options based on their intuition alone to determine which character is a robot or human. The game thus provides an overview of the show, the cast and characters in the series and the concept of the fantasy and reality coming as one in Westworld. At the end of the game, the score is revealed with a showcase of the series trailer. 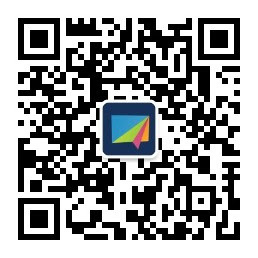 The campaign has been adapted on to HBO’s Weibo and WeChat accounts to build excitement amongst users in China. KRDS Singapore aims to continue lending their digital expertise to promote HBO’s original series Westworld on Facebook. KRDS Hong Kong, part of the Paris headquartered KRDS Group has officially opened its doors in Hong Kong. Backed with the support of Invest HK, KRDS Hong Kong has already been appointed by 3 notable clients. The clients include a world renowned multinational retail company, a global insurance firm as well as a local governmental agency. KRDS also wanted to celebrate the launch of its new office by developing an innovative Snapchat geo-filter as a ‘thank you’ to the city of Hong Kong for their warm welcome. The geo-filter features the Tai O stilt houses that sit above the tidal flats, fishing culture and fresh seafood. The filter was designed and approved by Snapchat and users can click their pictures using the cityscape filter at in the city. 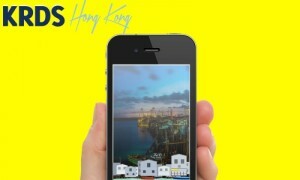 KRDS Hong Kong is the first digital agency to have an approved Snapchat geofilter in the region. BNP Paribas is one of the best-positioned international financial institutions with an uninterrupted presence in Asia Pacific since 1860. As the financial year begins, BNP Paribas hosted its annual dinner to celebrate its employees at Changzhou and Tianjin, with over 200 guests at each location. This year, BNP Paribas wanted to host innovative fun digital interactions for its employees so they roped in Social and Mobile Agency KRDS Shanghai to develop a WeChat live quiz for the guests. The WeChat live interactions included a set of two quizzes on the rich history of BNP Paribas and staff anecdotes, and a voting system to elect the best show of the night on WeChat. 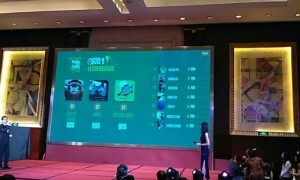 Live leaderboards and countdowns were displayed on a main screen to push engagement and enhance a friendly competitive spirit among the guests. The interaction was a soaring success as over 95% of the employees were thrilled to compete with each other and in the process, were also recruited on the WeChat account.